Batch messages are used for one time sends. They can be sent immediately or scheduled for a future date. 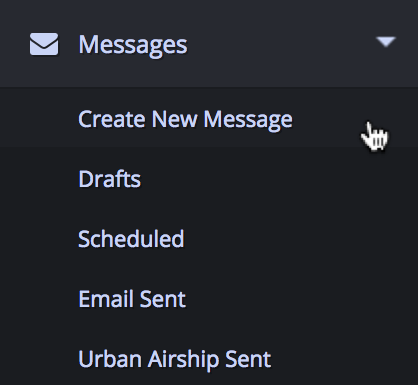 Batch messages can be sent through any available channel: email or mobile push (via Urban Airship integration). This video shows you how to create a batch message. 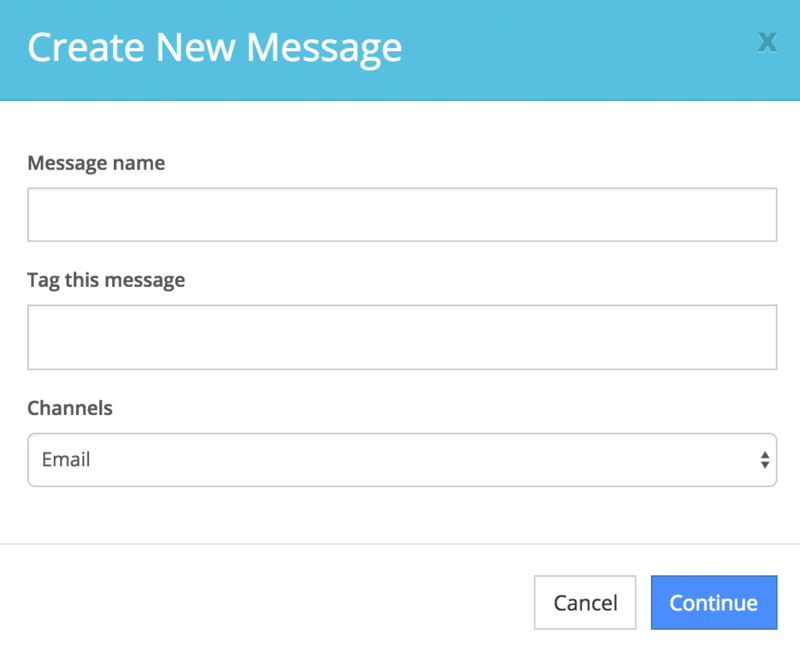 When creating a new batch message you will need to give the message a name, add any message tags and choose the sending channel. Message name - The name that will be referenced in the system. Tags - Tags are used for grouping related messages, searching and building audiences and filtering message reports. Channel - The channel will affect the type of message being sent, email or mobile push. This selection will affect the message content method as well as the transport. Mobile push messages will be sent via an Urban Airship integration. Batch messages can be sent immediately or scheduled for a future date. When scheduling for a future date, you have the option of scheduling according to the contact's time zone. Message sending can also be throttled so messages go out in batches according to audience size or max number of batches. This is useful when you are switching from another ESP and need to warm the new IP address for improved deliverability. Learn more about IP ramping. Before a message is sent you must choose the audience to send to. You have the option to send to all contacts or use the audience builder to filter your contacts according to include and exclude audience rules. The type of message content will depend on which channel you choose to send the message. If choosing the email channel, you must also fill out Message Header info that includes the subject, the from email, the reply email and the from description. Choose whether to enable or disable link tracking for all links in the message. This only applys to the email channel. You are able to disable link tracking on individual links using Smarty. 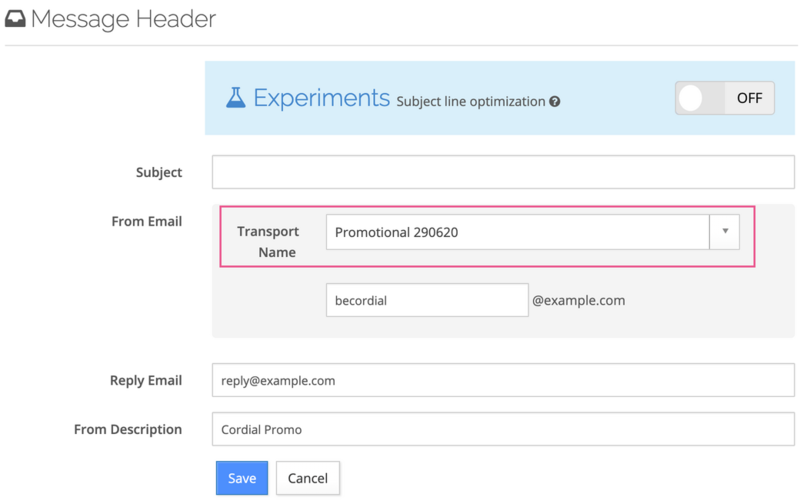 The message transport only applies to the email channel. Mobile push message are sent through the integration with Urban Airship. During account creation, your account is set up with one or more email sending transports. If your account has multiple sending transports, you will have the option to choose the transport for the message. Note: To maintain healthy delivery, be sure to choose the sending transport that matches the message classification (promotional or transactional). You are able to send a test message in order to check rendering in the inbox. Before you are able to send a test, the message headers and message content must be complete. 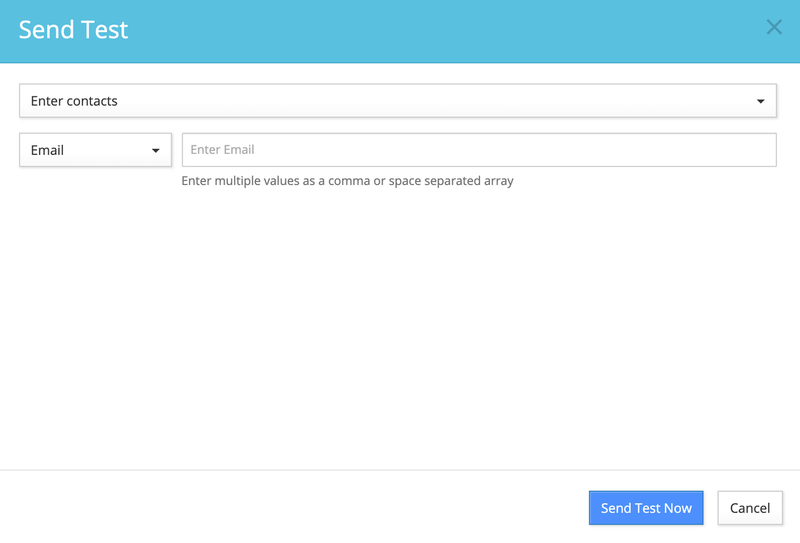 Enter one or multiple email addresses (separated by a comma) and click the Send Test button. Note that all email address must exist as a contact in your account in order to send a test message. Note: Test message links will expire after 24 hours if link tracking is enabled for the message. Note: If you are receiving the error "Internal Render Error", when trying to send test messages, it may be a result of badly formed links in your HTML. Be sure to check all links for any unnecessary spaces or characters in your urls. The Internal Render Error can also be the result of a missing html include. Be sure all html includes that are referenced in a message do in fact exist in the account. Learn more about date and timestamp variables. Once all required content has been completed, you are able to send the message to the audience specified by clicking the Send Message or Schedule Message button. Once a message has been sent you can pause, resume or cancel a message send. After a message has been sent you are able to view it on the Sent Messages page. By default, messages are sorted by Send Time. You can also sort messages by Name by clicking its column header in the sent messages table. You can quickly search a message by name using the search field at the top of the page. Additional search and filter functionality is available in the Advanced Search menu. Use the Tags search input to search any messages that contain specified tags. To search multiple tags, use a comma to separate each tag. The comma acts as an "or" operator. Using the Send Time search input, you can filter messages that were sent On, Before, or After a specified date. Using the Status dropdown, you can view messages with a sending status of Sent, Cancel, Pause or Sending. You can display messages that contain specific features using Filters. Select the checkboxes to filter sent messages that have an Inbox Placement Test, a Throttled send, Timezone sending or an Experiment. 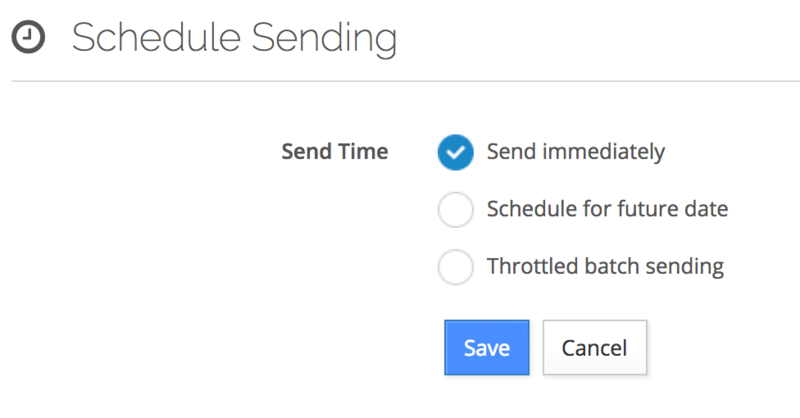 In the next article learn about scheduling and throttling a message send.